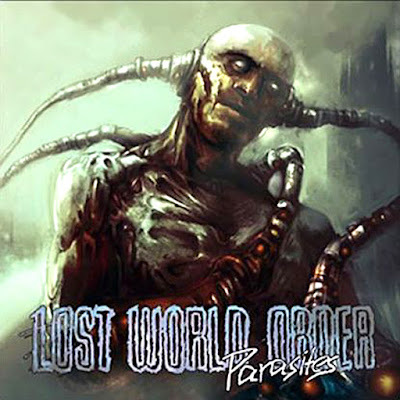 Home » » Interview - LOST WORLD ORDER - We are fans of lost places. Interview - LOST WORLD ORDER - We are fans of lost places. Asked Jaromír Deather Bezruč, thank you! Interview with thrash metal band LOST WORLD ORDER from Germany. LOST WORLD ORDER It's been a long time I made some interview. And all those times when I made my magazine IN DEED HELL or cooperated with magazines like ŠROTOWISKO or HARDROCKER are far away. 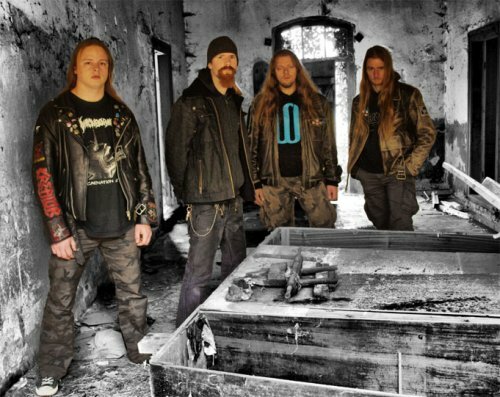 Of course I could make an interview with HEAVING EARTH, ATTACK OF FIRE or DISSOLUTION, but these bands are well known and popular overhere... That's the reason we introduce our fans with guest from abroad, who arrive from far BIELEFELD town (Germany). 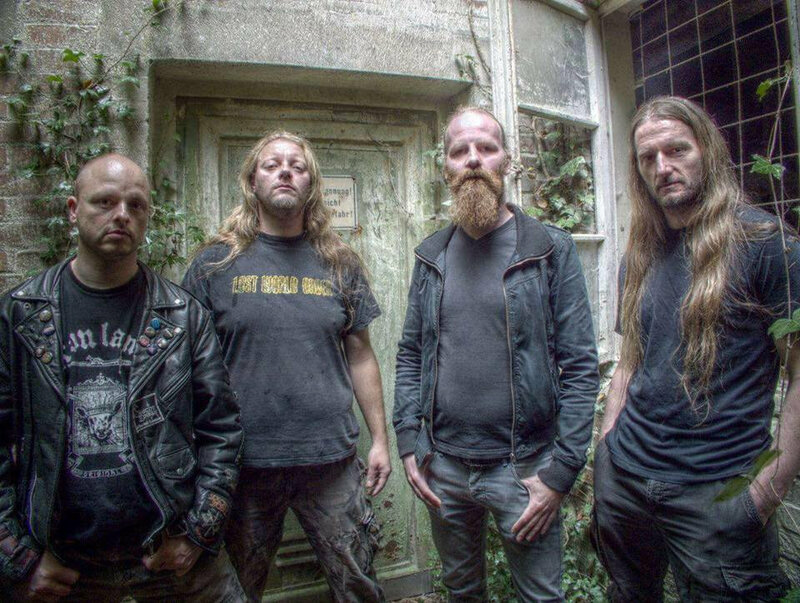 The last year we were visited by great band WEAK ASIDE (from Germany too), who totally destroyed all visitors with their war death metal. Now we can wait for excelent thrash metal LOST WORLD ORDER, young German group who released their first album "This Apparatus Must Be Earthed!" in 2008. But they earlier played death-thrash under the title SPECTRE DRAGON and released 3 albums. After then they continued like LOST WORLD ORDER and took a ride thrash metal way full of agression, strenght and melodies. I don't know much about your history from SPECTRE DRAGON times. Can you tell us more about it? Well, Spectre Dragon started in 1991 and used to play a mixture of Speed- and Power Metal back then, accompanied by a couple of Death Metal-grunts. Our current bass player McZ was a founding member. In 1994 our current drummer and I (just as a guitar player) joined the band, and we started to vary our style. We added more Death- and even Black Metal-ingredients. It was fun, but there was no real focus. In 1999 some of the members left the band, and while I took over vocal duties, Hedrykk stepped in as second guitar player. We the made the album “Draconian Aeon” which can be seen as a period of orientation. In 2002, “Under Hell’s Command” was pure Death-Thrash, and 2005s “Beyond Creation” was a pure Thrash-album. 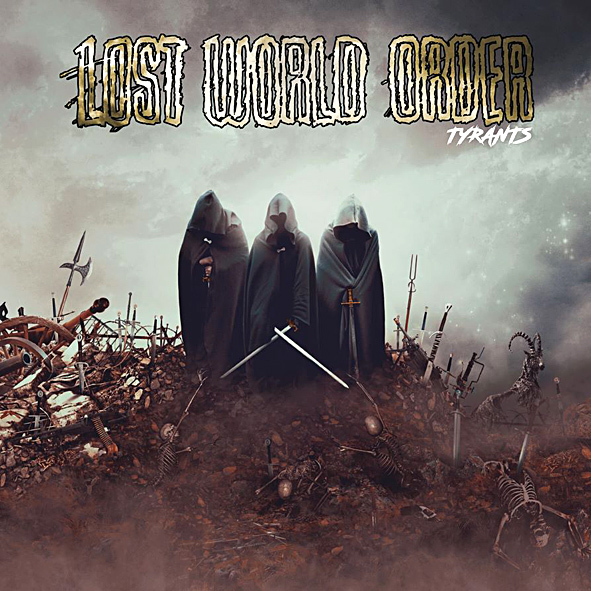 Why did you change band name and then continued under LOST WORLD ORDER title? We just felt that the name Spectre Dragon didn’t fit the band’s music and lyrical topics anymore. In the beginning, there were fantasy lyrics and Classic Metal, but now it’s Thrash with more realistic lyrics and a dystopian view on the world, so for us it was important to have express those changes with a new name. It's really great you didn't change your line-up so much... I think, that some members in your band are stable and it's fine it has lasted until today. Could you tell us your recipe for stable line-up? If I only knew this, hahaha. I think it has something to do with the fact that we don’t play to make a living or to be famous. It’s a fine hobby for us, so we don’t have to struggle as much as other bands. Bielefeld is about 450 km from Berlin, our travel distance to Rýmařov is about 920 km. Yes, it is very far, hahaha. You’re right, we see it as road trip, but it also a good opportunity to reach some new fans in the Czech Republic, and we are really looking forward to meeting all of you guys and have a good time with you. So, we’re doing this for ourselves and also for you! You have released 3 albums. I don't know anything about "This Apparatus Must Be Earthed!" Can you tell us more about it? Is there anything connected with SPECTRE DRAGON or is it pure LOST WORLD ORDER? As I wrote earlier, it is the same band, we just changed names before the release of “This Apparatus Must Be Earthed!” The album is pretty much a continuation of what we started with the albums before, but with the new name we tried to establish a kind of corporate design. Have a look at the album cover and you’ll see what I’m talking about. We liked it, but it didn’t work out too good. We released “This Apparatus Must Be Earthed!” in a vinyl version next to the CD. The CD was released by Musicaz Records, a label that doesn’t exist anymore, the vinyl was done by ourselves. We still have some LPs left and will bring it with us for the gig. The CD is sold out. I know you through album "Marauders", which was released in 2009. It caught me with its strenght, precise playing, originality and nice melodies. I have it still in my ears and I must admit, that I haven't heard such inventive thrash metal for a long time. I feel KREATOR influences in you music as well. I take it very positive, because I personally think, that KREATOR and SODOM caused that german thrash metal is well know on the worldwide scene. By the way, I've got the feeling, that bands like yours move forward and surprise with great ideas. First of all let me thank you for the great compliment! Yes, Kreator is an influence for us, just like Exodus, Testament and many more. We like all kinds of Metal, and maybe this is the special mixture that defines the LOST WORLD ORDER-style. 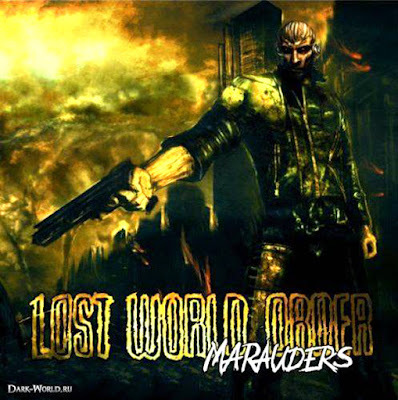 “Marauders” is the first out of three albums that deals with an endtime-scenario. Mankind has fallen and tries to re-establish a civilization. Imagine movies like “Mad Max” or “Land Of The Dead” and you’ll know what it’s all about. With “Parasites” we didn’t have to much of luck. We released the CD under the banner of Good Damn Records, distributed by Twilight. Just 2 weeks after the release Twilight was broke, so we literally had no distribution at all. Nuclear Blast had the Cd listed, and we use it as an advert, but that was not a distribution deal. We sell the last albums quite cheap to reach as many fans as possible. “Parasites” is the second part of our endtime-trilogy, and while it is more compact musically, lyricalwise it is way more dystopian. I have seen on facebook, that you prepare new album. Can you tell us the title and what can we expect from it? Where will it be out? 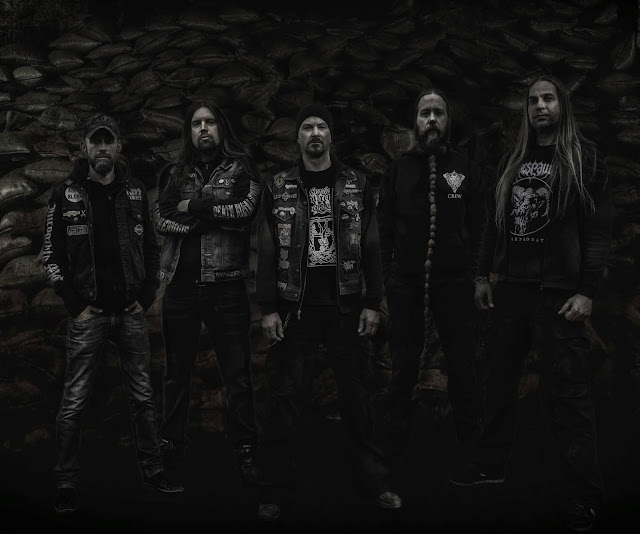 The new album is called “Tyrants” and will be released later this year. The CD-version will be released by Ragnarök records, the LP is handled by ourselves once again. Lys Og Skyggen is actually a guy who takes photos together with his girlfriend. We are fans of lost places, and pictures like these fit our endtime-concept really good. The cover is done by another artist this time, a photo artist called Hicham Hadachi. He really does awesome pictures, and it is our best cover so far. Is it obvious, that it will be something depressive, some vision of sadness, anxiety... Is that the reason for "Tyrants" title? Well, “Tyrants” marks nothing more than the ending of mankind. The album is the last part of our trilogy, and in the end the last human remains meet on the battlefield and fight until there is nobody alive anymore. It’s just a dark story with some kind of dystopian fantasy which is partly based on today’s reality. Can we hear some of your new song on Prometal festival? Yes, there will be 2 or 3 new songs in our set. We are really excited about the new album and can’t wait to play the songs on stage! I have to say in the end, that I can't wait to your live performance and I hope I won´t be alone. It's coming soon. Do you want to add anything in the end? Thank you very much for the interview! 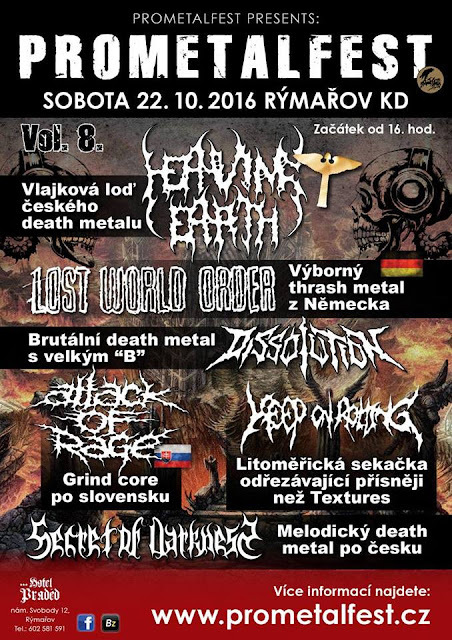 We are looking forward to kick your asses and are truly amazed to have the chance to play your great festival and to shatter a Czech stage for the very first time. See you there, dear friends!